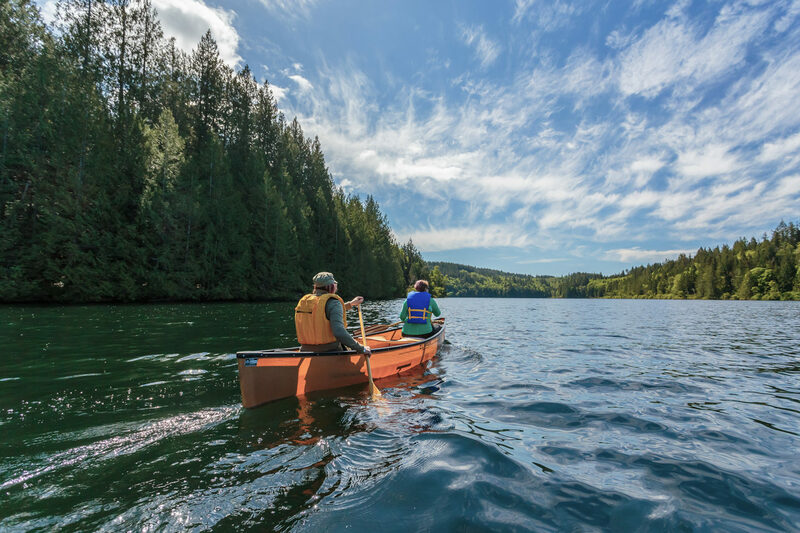 Inland Lake stands apart from almost all other Sunshine Coast lakes because it is fully accessible. A 13km wheelchair accessible trail encircles the lake with washrooms and 5 shelter locations, so any and all can enjoy! There are also 22 drive-in and walk-in campsites, as well as options for swimming, cycling, paddling, and boating. You can also check out the BC Parks website for additional info.